After a season full of major decisions and easy victories, sophomore Sebastian Rivera, the top ranked 125-pound wrestler in the country, knew it was time for a challenge. In the lead up to Northwestern’s matchup against No. 4 Michigan, Rivera asked to move up a weight class to 133 pounds and face off against the top-ranked wrestler in that class, Stevan Micic, who was eight pounds heavier than Rivera and undefeated in his own right. Rivera fell for the first time all season in a 10-4 takedown from Micic. While ending Rivera’s perfect run, swaths of fans tweeted about Rivera’s gutsiness after the match. But the wrestler was just satisfied to have such difficult competition. NU (3-10, 1-7) intended to secure two victories in last weekend’s road trip to Michigan State (9-6, 3-4) and the Wolverines (10-1, 6-1 Big Ten) Instead, the Cats were blown out in both showings, falling 30-10 on Friday to the Spartans and 30-9 to the Wolverines on Sunday. Sophomore Ryan Deakin, the No. 3 ranked 157 pound wrestler in the country, was one of three Cats who won their matches Sunday. Senior Conan Jennings upset Michigan’s Mason Parris at 285 and Shayne Oster took down Malik Amine 8-3 at 149. But they dropped their fifth straight on Sunday, all against Big Ten opponents. Coach Matt Storniolo said despite NU’s middling record this season, success should be judged by how the Cats perform in postseason tournaments. All season, Rivera has encouraged his teammates to be more aggressive. 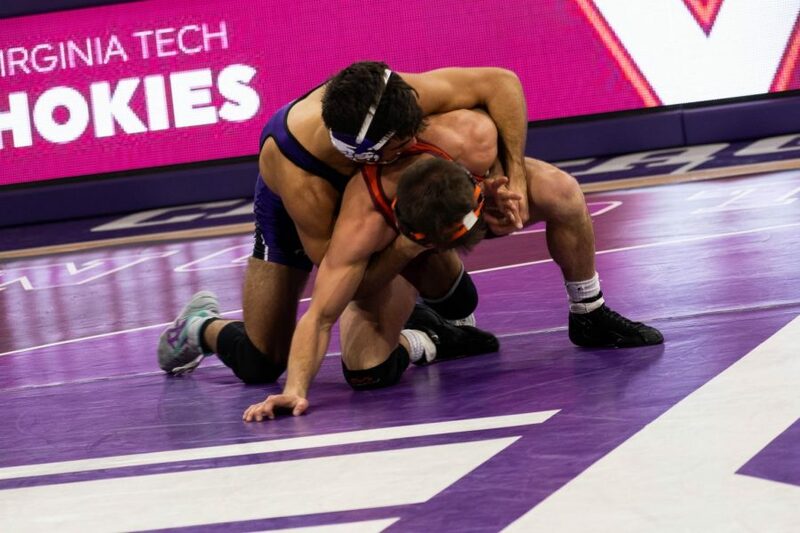 Following recent matches in which his opponent either forfeited the match or switched weight classes to avoid facing Rivera, NU’s top wrestler was able to able to control his own destiny in who he would face against Michigan. When he hit the mat, Rivera said he was he was able to execute some of his game plan against a bigger and equally talented opponent. While Rivera lost, Deakin proved his high ranking, winning his match Sunday in thrilling fashion against Michigan’s Alec Pantaleo, the fifth-ranked 157 pound wrestler in the country. He claimed an 11-9 decision at the end of the match after falling behind early. Deakin said he tried not to worry about the clock in the final minutes of his match, instead focusing on his attacking positions.